Vegetarians and health nuts and foodies, oh my! 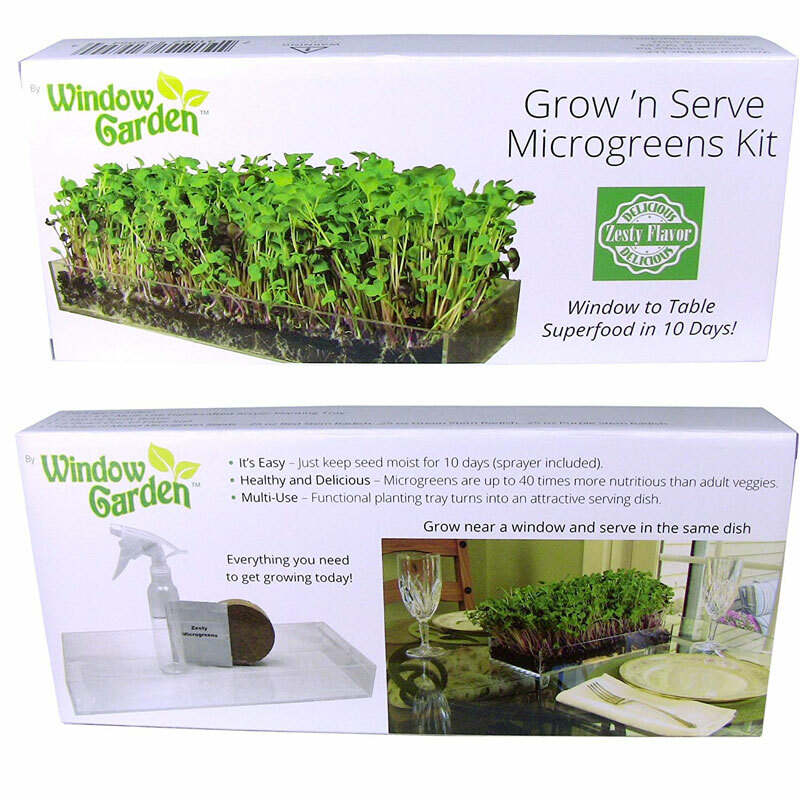 These Grow 'n' Serve Microgreen Kits will bring joy to the hearts of many a personality on your gift lift this year. The kits come with a planting tray, a choice of nutrient-dense and Instagram-ready greens seeds, and premeasured soil for planting. Time lapse from tilling to snipping the sprouted microgreens is just 10 days. The superfood seeds will produce tiny stalks and leaves that add a healthy accent to salads, sandwiches, smoothies, soups, and avocado ice cream, plus garnish dishes with a visually pleasing finishing touch. 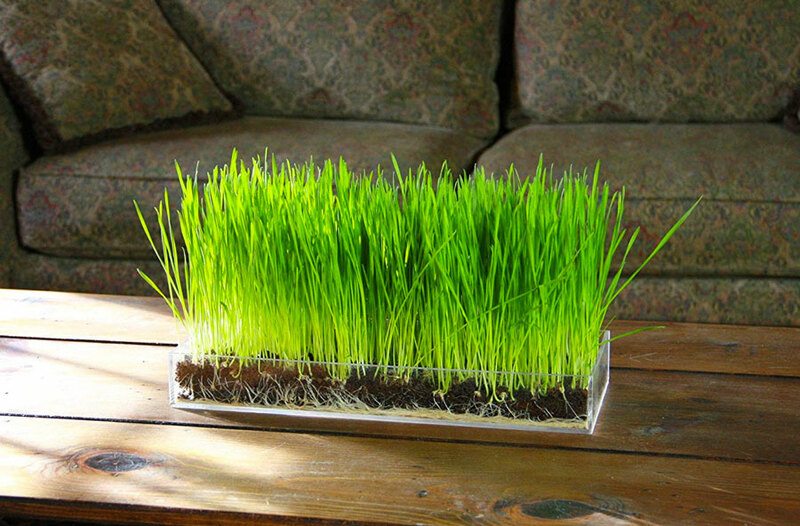 And on that visuals front, the growing greens also make for an attractive centerpiece on your table, or suction cupped to your window with the additional purchase of the Grow 'n' Serve Microgreen Veg Ledge shelf. 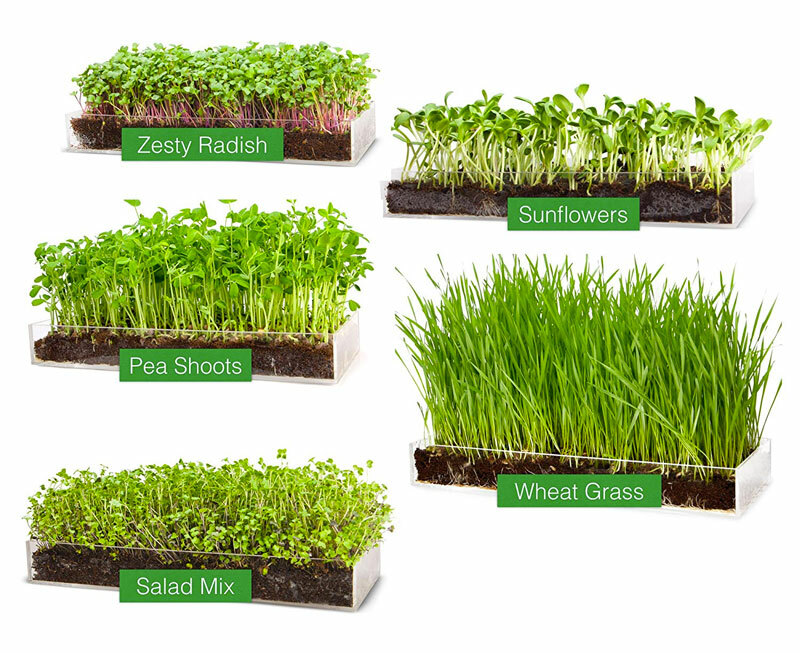 Microgreen seed choices include wheatgrass, sunflowers, zesty radish, pea shoots, and salad mix. 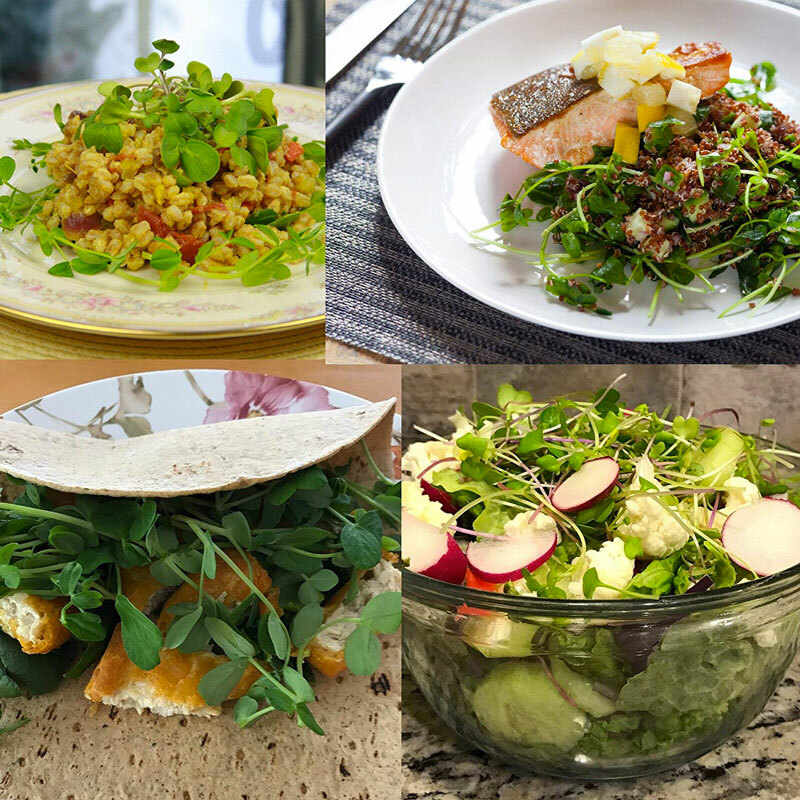 As baby sprouts, the grown greens can deliver up to 40 times more nutrients than adult vegetables. 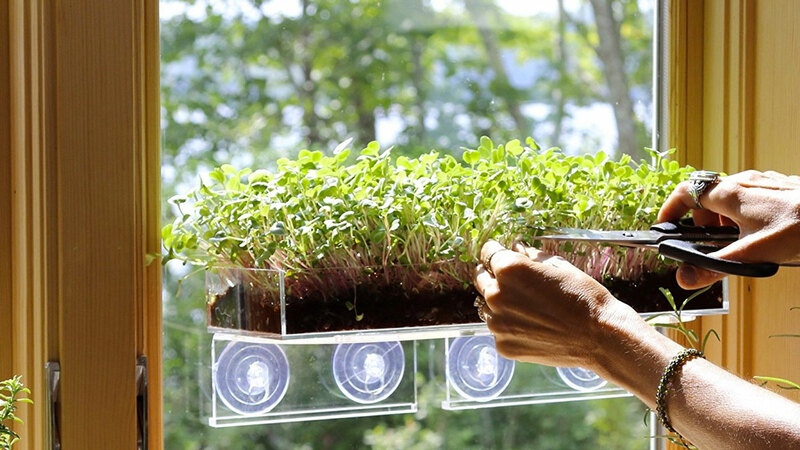 Growing trays are BPA-free and measure 16" x 6", and can also be used to plant succulents and other small house plants.